These Riven Slate tiles at house in Tring Buckinghamshire had been laid five years earlier and the original sealant had worn off especially around the high traffic cooker and fridge areas. This has led to dirt getting trapped into the pores of the tile and the whole floor becoming rather dull. We started with a strong dilution of Tile Doctor Pro-Clean which is an alkaline tile cleaner designed for use on tile, stone and grout. It was scrubbed into the tile and grout lines to give the floor a deep clean and then rinsed with clean water. To strip the remaining sealant we used Tile Doctor Remove and Go spread throughout the floor and then left for 45 minutes to soften the sealant, then with the use of an aggressive black pad fitted to a rotary machine the remaining sealant was stripped from the tile. The last step was to rinse the floor with clean water to remove any cleaning products and neutralise it before sealing, it was then left overnight to dry. The next day we came back to seal the floor, the customer had previously requested a matt finish for the floor so Tile Doctor Colour Grow was chosen as the sealer, this product provides the desired matt finish but also lifts the natural colours in the stone as well as providing the necessary stain protection going forward. 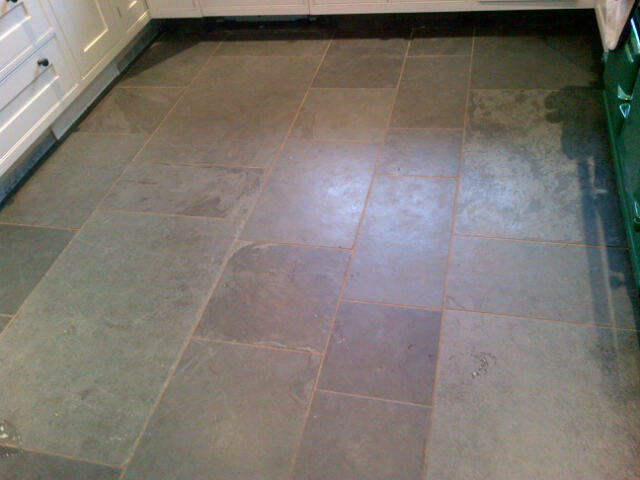 This entry was posted in Slate Tile Posts and tagged cleaning services, floor restoration, riven slate tile, sealing, south buckinghamshire, tile cleaning, tile maintenance, tiled floor, trapped dirt, tring by AbzDominise. Bookmark the permalink. 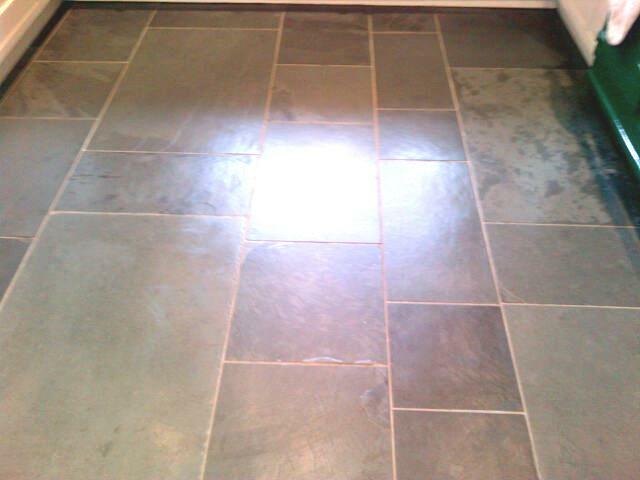 You totally brought back the shine on these riven slate tiles. Bet the client was beyond satisfied with the results.